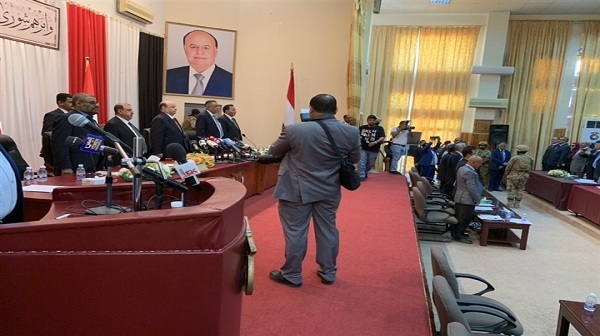 Yemeni President Abdrabbuh Mansur Hadi, who on Friday attended a rare session of parliament in the eastern city of Seiyun, urged Houthi militias to disarm and engage in the peace process. The Yemeni president thanked Saudi King Salman bin Abdulaziz and Crown Prince Mohammed bin Salman for backing the legitimacy. Defeating Houthis “remains our top priority,” he said. “Isn’t it time (for Houthis) to drop their weapons and start the peace (process)?” Hadi asked while extending his hand for peace. He also urged the Yemeni people to remain hopeful amid Houthi threats and violations. Despite receiving death threats, being attacked by Houthi-flown drones and having their houses raided, around 141 lawmakers attended the session that was ordered by Hadi in Seiyun, the second largest city of Hadramaut. 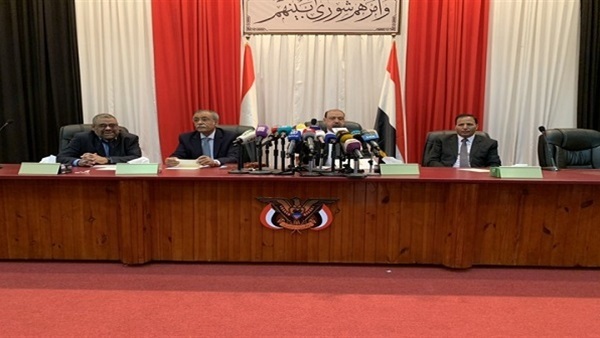 At the session, the MPs elected Sultan al-Borkani as speaker, who expressed determination to defeat the militias that carried out their coup in 2014. He also lauded the role played by the Arab Coalition in defending the legitimacy against the insurgents.